FAQs on the Cyprinodontids, Pupfishes et al. of mine in the local shops I frequent, and the books I have read. Any help with an i.d. / possible lead on where to obtain some would be greatly appreciated. Thanks crew!! 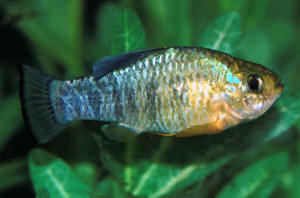 Cyprinodon diabolis appears to be extremely endangered, with one source (Virginia Tech dated 2006) stating only 40 wild specimens remaining. I'm guessing they might be a bit hard to come by, but I will definitely keep my eyes open for them. I've wanted to keep Endler's livebearers simply to help keep them around. 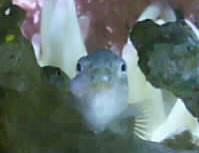 Devils Hole Pupfish might be another one if I can find any captive population. <Interesting. Does sound as if there are some captive populations, which is good to know. Fascinating fish. Sadly, the European killifish aren't in much better shape thanks to the same intense pressures on water and real estate in sunny but dry parts of the world. Do research the Desert Fishes Council, which I suspect you'll find publishes some interesting stuff. ...doesn't seem to be nipping at them just rubbing up against and almost like herding it into other areas or against the tank...Why is this? <The sarcastic answer is "because you shouldn't be keeping them together"!